XII, 378 p., 15,0 x 21,6 cm. Political changes leave fissures and rifts on the landscape of nations and inevitably affect the development of the sciences. This holds true also for psychoanalysis which, from the very beginning, is internationally oriented in a multicultural world. 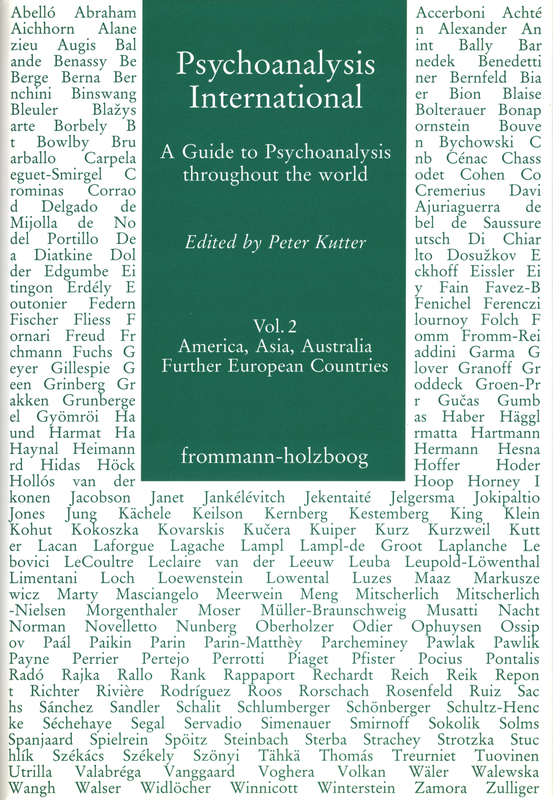 In volume 2 a colourful map of psychoanalysis is offered with historiographic aspects as well as vivid descriptions of the present situation, not only in the already known Western world of North and Latin America, Australia and the Far East but also in the new Eastern countries which, since the fall of the Iron Curtain, have come to scene. Argentina by L. Wender a.o.